Murder by Gaslight: A Newark Wife Murder. Lottie Chisholm left her husband John and, taking their two children, went to stay at her parents’ home in Newark, New Jersey. John had a history of abusing his wife and this time she planned to file a formal complaint. The afternoon of June 23, 1883, John Chisholm went to his in-laws’ house to get his wife and children back. He saw Lottie at a rear bedroom window, sitting with her sister Ella at a sewing machine. According to Ella, John grabbed Lottie through the open window as Ella moved away. What happened next is uncertain. Ella said that John raised the pistol and fired at her sister. He put the pistol back in his pocket and ran from the yard. Lottie staggered outside the died a few minutes later. John Chisholm said that the shot had been accidental. He had gone to his in-laws’ house to peacefully retrieve his wife and children; he carried the pistol because Lottie’s father, James Macomber, had previously threatened him with bodily harm. The pistol was in his pocket but the pocket was torn and Lottie saw it. “Lottie, you know I would not hurt you,” he replied. He pulled the pistol from his pocket, Lottie grabbed it, and in the scuffle, the pistol went off and the shot killed her. A meddling mother-in-law was the cause of all their marital problems, John testified. The couple had married three years earlier against the wishes of Lottie’s parents. He was 27-years-old and she was 20; the Macombers opposed the marriage because of John’s shiftless habits and bad character. The couple eloped and married in secret. Though they had two little daughters, Lottie and Lillie, the marriage had not been a happy one. The Macombers had been right about John’s character, he had a drinking problem. He had worked as a foreman at a company run by his father but his father had fired him for drunkenness. Several witnesses testified that when he was drunk, John became violent and would beat his wife. During one savage struggle, he tore a ring from his wife’s finger and pawned it for beer money. But the evidence did not bear him out. A deputy sheriff testified that Chisholm’s pistol cocked very hard and the trigger was stiff. The gun would not fire unless the hammer was partly raised by hand, accidental discharge was impossible. The jury deliberated for five hours then returned a verdict of murder in the first degree. John Chisholm was sentenced to hang. On November 22, 1883, John Chisholm walked stolidly to the gallows holding a crucifix and accompanied by fathers Toomey and Connolly. At 10:10 the trap was sprung, and twenty-two minutes later Chisholm was pronounced dead from strangulation. In his will, John Chisholm requested that custody of his children be given to his parents. The Macombers, who had been caring for the girls since the murder, planned to challenge the will. 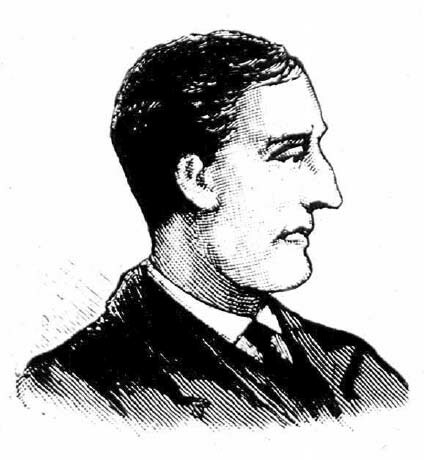 “[John Chisholm; Newark, N. J.; Mr. Chisholm],” Springfield Republican, October 6, 1883. “Blaming His Mother- in-Law,” New York Herald, October 5, 1883. “The Chisholm Murder Trial. ,” New York Tribune, October 6, 1883. “Chisholm to Hang in November,” Trenton Evening Times, October 16, 1883. “Chisholm's Children,” New York Herald, November 26, 1883. “Hanged For Murdering His Wife,” New York Tribune, November 23, 1883. “Hanged,” Kansas City Star, November 22, 1883. “A Mother-in-Law and Evil Ways ,” New York Herald, October 6, 1883. “A Murderer's Doom,” National Police Gazette, December 8, 1883. “Murder in the First Degree,” New York Herald, October 7, 1883. “Murdered Lottie Chisholm,” Truth, June 28, 1883. “The Newark Wife Murder,” New York Herald, June 27, 1883. Sadly, information on the murderer is at Find A Grave, but none on the victim, Lottie Chisholm.